The goal of Educator’s Corner is to promote diabetes education and diabetes educators and to disseminate creative approaches to diabetes self-management education (DSME), medical nutrition therapy (MNT) and other services that improve diabetes care through education. I’ve spent most of my career working with people who have diabetes, mostly as the diabetes coordinator of a large DSME program at Parkland Health & Hospital System in Dallas, Texas, and currently with the Physicians Committee for Responsible Medicine. At the Physicians Committee, I am the associate director of diabetes nutrition education, developing and implementing programs to educate health-care providers about the benefits of plant-based nutrition for diabetes, which has been a passion of mine for many years. I’m also passionate about diabetes education. In my role at Parkland and as a volunteer leader with the American Association of Diabetes Educators, I have had the privilege of working with many diabetes educators over the years. I am always moved by the unselfish commitment diabetes educators have to sharing their time, knowledge and passion to improve the lives of individuals living with diabetes. It is exciting that the American Diabetes Association (ADA) Standards of Care for Diabetes have a new focus on patient-centered care, a skill most educators have already been practicing for years. Diabetes educators have to keep up with new knowledge, treatments and consumer trends to be effective resources for their patients. 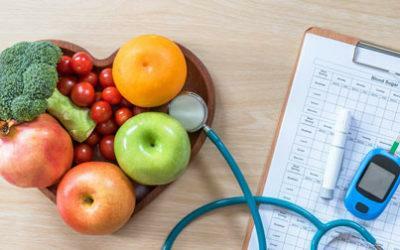 Diabetes educators are skillful in translating new evidence-based guidelines into patient care, taking into account their patients’ preferences, resources and personal objectives so they can implement meaningful self-care goals. By respectfully collaborating with patients in problem-solving and improving healthy behaviors, diabetes educators play an important role in improving clinical outcomes, preventing complications, enhancing quality of life and reducing the cost of care. The challenge and stress of living with diabetes can be overwhelming, and there is an essential need for ongoing education and support. Educator’s Corner will be written by experts in the field who will share innovative practices that have made an impact in the communities they serve. The articles are meant to be practical so all health-care professionals can use the tools provided to enhance their practice. There is much work to be done. Only 5 to 7 percent of people eligible for DSME actually receive this service. And just 33 to 49 percent of people with diabetes reach targets for A1c, blood pressure or lipids, including only 14 percent who meet all three along with smoking cessation. The economic impact of diabetes is of great concern. In addition to the more than 29 million people in the United States who have diabetes, there are 86 million waiting in the wings with prediabetes. The Diabetes Prevention Program could potentially become a new service for ADA- and Diabetes Education Accreditation Program-recognized programs, since CMS will be reimbursing for this service in 2018. Diabetes educators are in the ideal position to make an impact on the diabetes crisis we are facing today. All health-care providers who engage with people with—or at risk for—diabetes need to become active diabetes educators to help improve these outcomes.